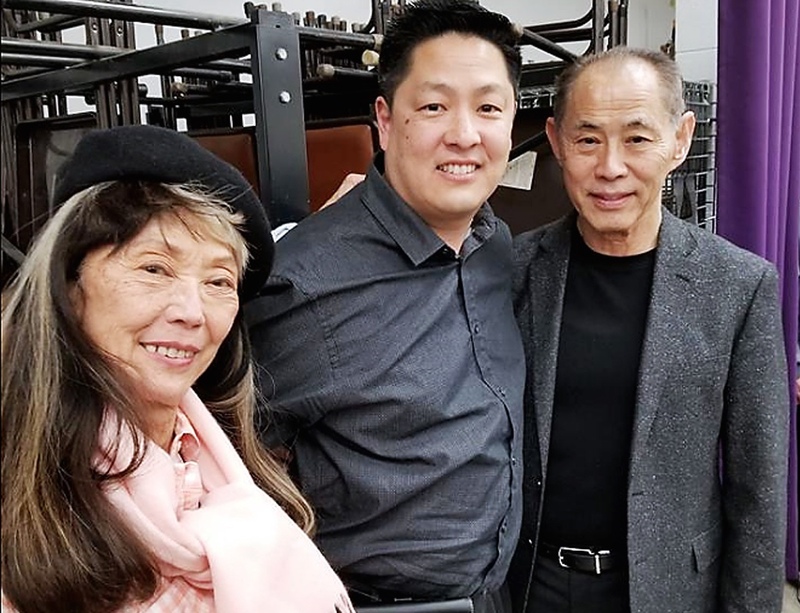 Filmmaker Jon Osaki (center) with attorney Dale Minami, a member of Fred Korematsu’s legal team, and Lani Miyazaki, daughter of the late redress activist Aiko Herzig Yoshinaga, at a screening of “Alternative Facts” last month at the Gardena Valley Japanese Cultural Institute. Minami and Herzig Yoshinaga appear in the film. PACOIMA — San Fernando Valley JACL will present a screening of “Alternative Facts: The Lies of Executive Order 9066” on Saturday, March 30, at 1 p.m. at the San Fernando Valley Japanese American Community Center, Dr. Sanbo Sakaguchi Hall, 12953 Branford St. in Pacoima. Jon Osaki’s one-hour documentary is about the false information and political influences that led to the World War II incarceration of Japanese Americans. It sheds light on the people and politics that influenced the signing of the infamous Executive Order 9066, which authorized the mass incarceration of nearly 120,000 Japanese Americans. The film exposes the lies used to justify the decision and the cover-up that went all the way to the U.S. Supreme Court. It also examines the parallels to the current climate of fear, attitudes towards immigrant communities, and similar attempts to abuse the powers of the government. The filmmaker, who is also executive director of the Japanese Community Youth Council in San Francisco, will be present for Q&A after the screening. Donation: $15. Bento reservation by March 17: $10. Students under 21: Free.